Join us on Friday 10th November at the Kings Arms for an improvised radio play to raise money for the Royal National Institute for the Blind. The format, called a BAT, is performed in complete darkness and audience members are also encouraged to close their eyes to get the full experience. Performers will create character and sound effects using only their voices as they improvise a radio play inspired by an audience suggestion. Straddling comedy and drama, the show promises to be like nothing you’ve experienced before where anything could happen. There will also be cakes available for all and proceeds will go to the Royal National Institute for the Blind which has been providing practical and emotional support for those with sighting loss since 1868. Entry costs only £3 and donations will also be gratefully accepted. 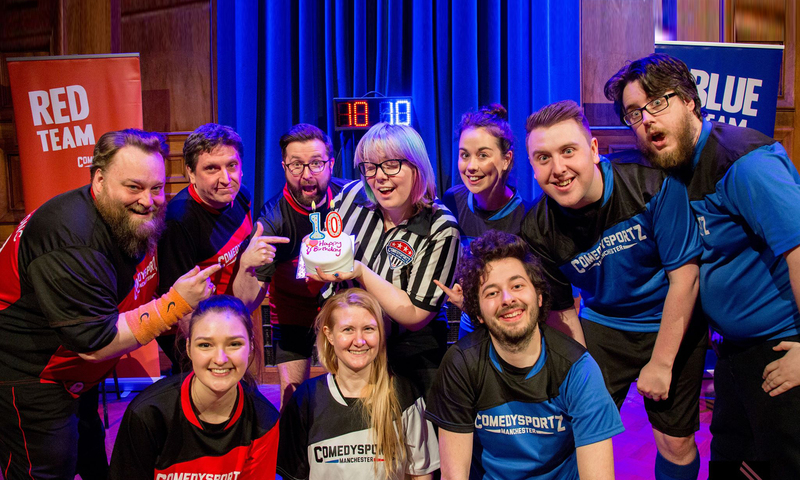 Comedy, charity and cake. What’s not to love? Previous PostPrevious Workshops – Last Chance for 2017!